Sparks Financial was created to deliver an unsurpassed experience to financially successful individuals, families and businesses. Scott Sparks’ vision was to build a multi-generational team that could deliver holistic financial planning by combining insurance and estate planning with investment advisory services. 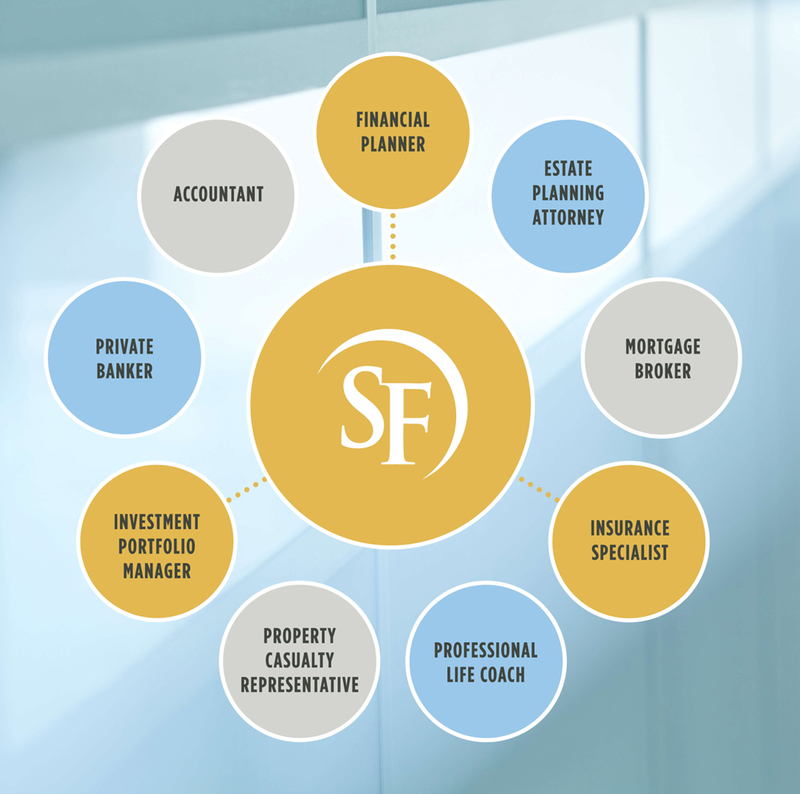 The firm's professionals deliver the resources of Northwestern Mutual within the context of an exclusive firm. We will work closely with your trusted network of professionals to help ensure your wealth accumulation, asset protection, and distribution plans are enacted to your expectations in a professional and efficient manner. THE TESTIMONIALS PRESENTED MAY NOT BE REPRESENTATIVE OF THE EXPERIENCE OF OTHER CLIENTS AND ARE NOT A GUARANTEE OF FUTURE PERFORMANCE OR SUCCESS. THE TESTIMONIALS PRESENTED DO NOT RELATE TO ANY INVESTMENT ADVISORY PROGRAMS OR SERVICES THAT ARE PROVIDED BY NORTHWESTERN MUTUAL INVESTMENT SERVICES, LLC (NMIS) OR A FINANCIAL ADVISOR OF NMIS. SCOTT SPARKS IS NOT A FINANCIAL ADVISOR OF NMIS. Financial Representatives do not give legal or tax advice. Taxpayers should seek advice based on their particular circumstances from an independent tax advisor. Scott G Sparks , Edward Holmes , Gary Wing , Kristen Gullickson , Margaret Long Bardsley , Matthew M Haynes and Peter B Egan use Sparks Financial as a marketing name for doing business as representatives of Northwestern Mutual. Sparks Financial is not a registered investment adviser, broker-dealer, insurance agency or federal savings bank. Northwestern Mutual is the marketing name for The Northwestern Mutual Life Insurance Company, Milwaukee, WI (NM) (life and disability insurance, annuities, and life insurance with long-term care benefits) and its subsidiaries. Scott G Sparks , Edward Holmes , Gary Wing , Kristen Gullickson , Margaret Long Bardsley , Matthew M Haynes and Peter B Egan are Representatives of Northwestern Mutual Wealth Management Company® (NMWMC), Milwaukee, WI (fiduciary and fee-based financial planning services), a subsidiary of NM and limited purpose federal savings bank. All NMWMC products and services are offered only by properly credentialed Representatives who operate from agency offices of NMWMC. Scott G Sparks , Edward Holmes , Gary Wing , Kristen Gullickson , Margaret Long Bardsley , Matthew M Haynes and Peter B Egan are Agents of Northwestern Long Term Care Insurance Company, Milwaukee, WI, (long-term care insurance) a subsidiary of NM. Scott G Sparks , Edward Holmes , Gary Wing , Kristen Gullickson , Margaret Long Bardsley , Matthew M Haynes and Peter B Egan are Registered Representatives of Northwestern Mutual Investment Services, LLC (NMIS) (securities), a subsidiary of NM, registered investment adviser, broker-dealer and member FINRA (finra.org) and SIPC (sipc.org). Scott G Sparks , Edward Holmes , Gary Wing , Kristen Gullickson , Margaret Long Bardsley , Matthew M Haynes and Peter B Egan are Insurance Agents of NM. Scott G Sparks , Edward Holmes , Gary Wing , Kristen Gullickson , Margaret Long Bardsley , Matthew M Haynes and Peter B Egan are primarily licensed in CO and may be licensed in other states.